Not only is the Napa Valley known for it's wine, Napa Valley also has some excellent restaurants. If you are seeking Mexican, Italian, Mediterranean, Seafood, American, French, Napa Valley has it. Whether you are a resident of Napa Valley, or a visitor seeking great cuisine and wine during your vacation or business trip, Napa Valley has it's share of restaurants. Coles Chop house is a excellent "Classic American Steak House" located in historic downtown Napa. They serve dry-aged prime steaks, Certified Angus Beef, New Zealand lamb and fresh seafood. The staff sommelier can help with the extensive wine list, of course, emphasizing Napa Valley Cabernet Sauvignon from the area's finest producers. This establishment is one favorite with locals, an elegant "boothy" style dining. It also serves a full bar. Bottega Napa Valley, Italian, is another excellent choice. Chef Michael Chiarello, in Yountville, California, in the heart of the Napa Valley is an "artist's workshop." Chiarello's own craftsman's kitchen, from which he celebrates deep culinary roots. Chef Chiarello is acclaimed chef, Emmy-winning host of Food Network's Easy Entertaining, tastemaker behind Napa Style, and proprietor of Chiarello Family Vineyards, as well as a longtime Napa Valley resident. Allegria, in Napa California, has a relaxing ambiance, extensive wine list, one of the best happy hour menus, patio dining and private rooms for your next special event. If you are traveling with a larger group, Allegria has four options for a private event. These options include "The Vault", "The Chardonnay Room", "The Bella Room", and the Patio. On the menu, there is chicken, steak, homemade pastas, and a signature Marinated Teriyaki Skirt Steak is not to be missed! Allegria offers a great assortment of delicious desserts, including a classic homemade tiramisu. Attentive and professional servers will take your order and suggest great wines for your lunch or dinner choices. For residents of Napa Valley, Napa Valley restaurants are one venue to drink fine Napa Valley Wine. 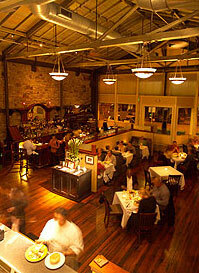 Most restaurants in Napa offer venues for special occasions at competitive rates. Perhaps Napa residents may wish to have a weekend getaway and wine and dine, or simply need a good lunch. These restaurants offer outdoor dining for the beautiful Napa Valley California weather.